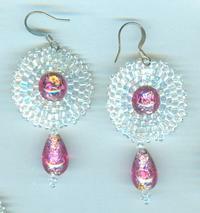 They feature cores of sparkling silver foil and stylized roses. 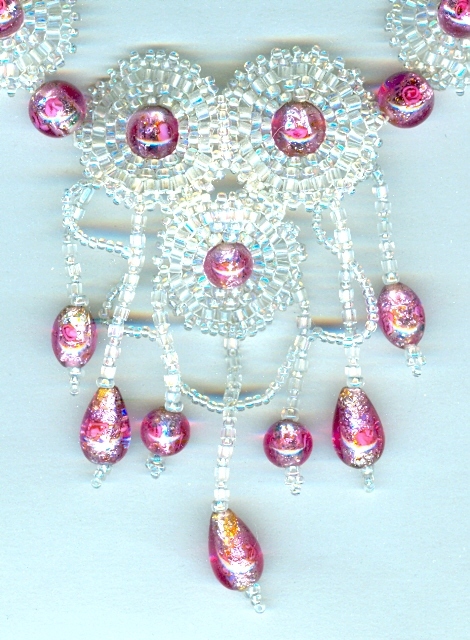 I've added Cheyenne stitch roundels of lustered clear seed beads. The choker is about 14-1/2 inches long, and secures with a bead and loop closure. From the top of the centrepiece to the bottom of the longest fringe element measures 4 inches. The earrings dangle 2-1/2 inches from the tops of their sterling silver French hooks. 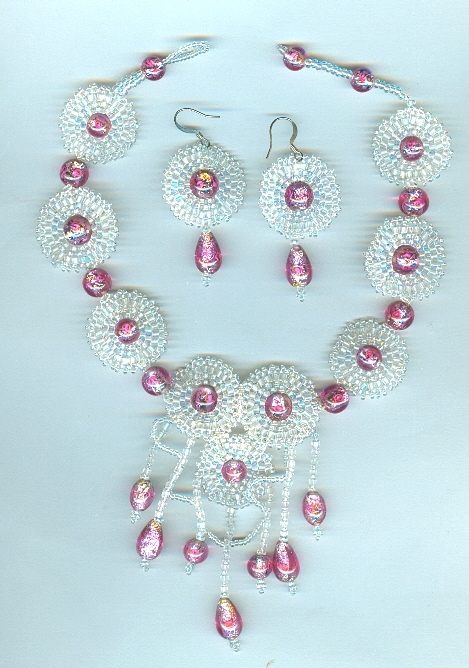 As lovely as any spring bouquet, this set is from SPARKLE PLENTY, of course. Very Edwardian, both in styling and in colouration, this charming set is absolutely delightful! The gold-foiled twisted glass beads are hand made in Venice, Italy by artisans who study for years to perfect their craft.